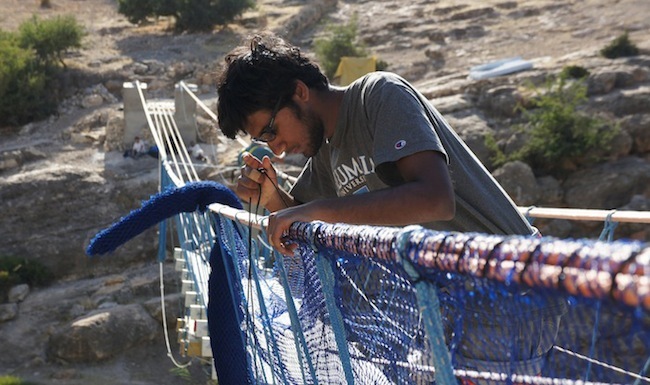 The Columbia University chapter of Engineers Without Borders aims to address the problems facing people both locally and overseas by leveraging the skills, talents, and passions of Columbia University students and the sponsorships formed with our organization. Our members come from many different arts, sciences, and engineering backgrounds, who collectively share a desire to do meaningful work and make a difference. The chapter currently consists of three programs in Ghana, Uganda, and Morocco. The Ghana program, which started in 2004, used to work in the semi-urban town of Sakyikrom but now focuses on water management in the farming community of Obodan. In 2008, the Uganda program was established to install a Multi-Function Energy Platform in the Soroti region. 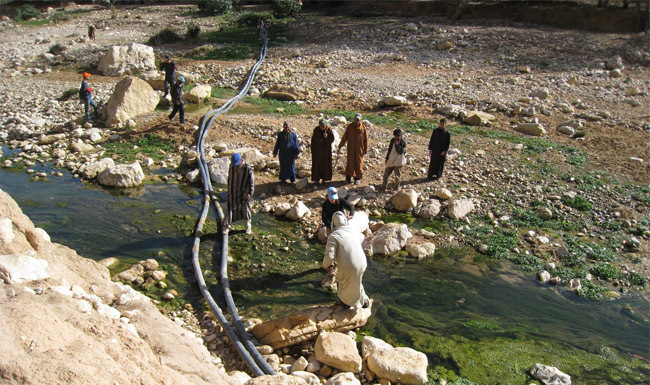 The Morocco program, which began in 2011, finished building a bridge in the rural community of Ait Bayoud in June 2013 and is now and is now working on providing safe and easily accessible drinking water directly to the communities of Izgouaren and Ilguiloda through a water sourcing and distribution system. Each project draws from the skills of its members to provide technical solutions to worldwide problems. 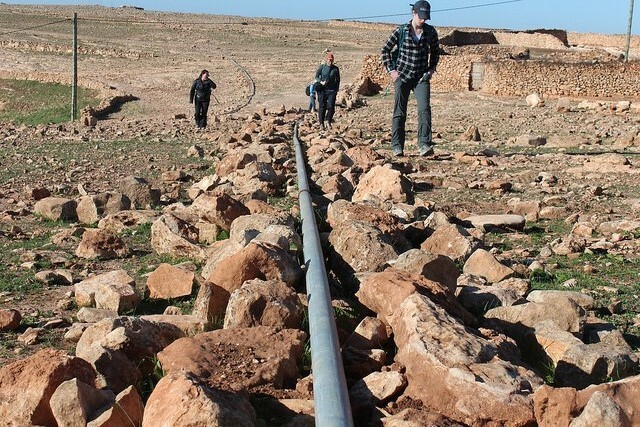 Ait Bayoud, a rural Moroccan community in the Essaouira region, experiences seasonal flooding of its central Tagawowt river that disrupts access to the local health clinic, school, and markets for hundreds of residents. 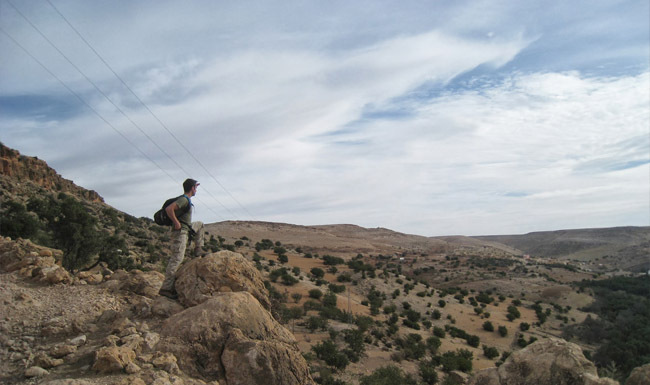 The Morocco program of Columbia's EWB-USA chapter began in 2011 when Nina Morency-Brassard, a Columbia alumna and Peace Corps volunteer stationed in Ait Bayoud, reached out to our chapter with a collaborative project proposal. To address the flooding of the Tagawowt river, the community suggested a bridge project to EWB-USA CU so that the river could be safely and consistently crossed during the rainy season. 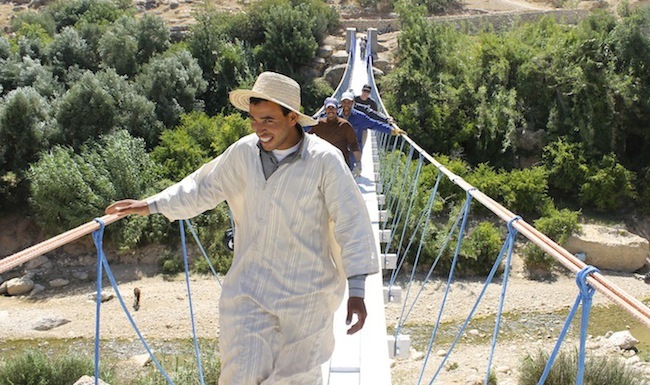 Along with professional structural engineers, various Peace Corps volunteers, and a host of community leaders and workers in Ait Bayoud, the students of the Morocco project have worked to fund, design, and source materials for the implementation of a 210ft suspension footbridge. 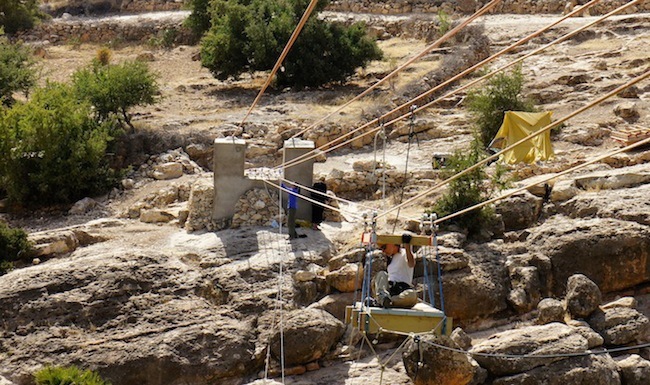 In the summer of 2011 and the winter of 2012, two assessment teams gathered technical data and determined a bridge site. 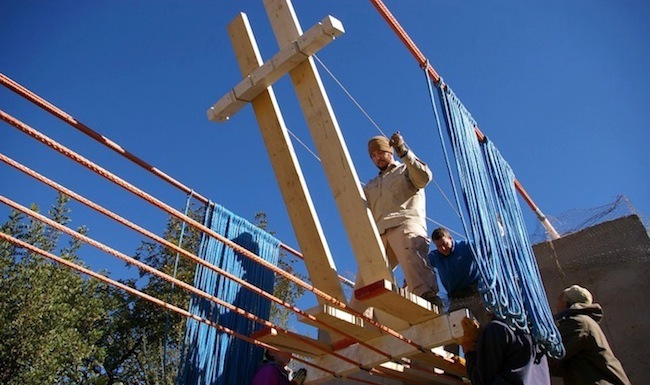 In the summer of 2012, implementation of the bridge began. 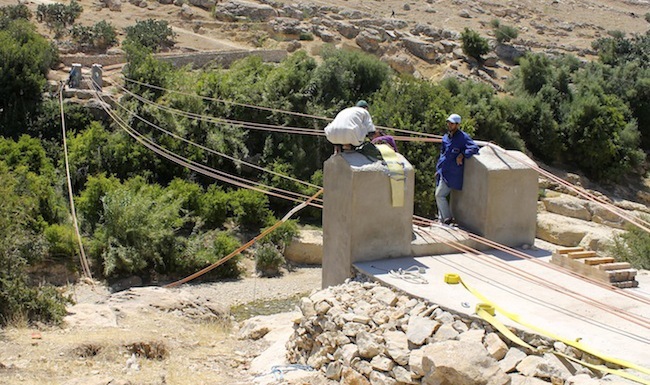 Over the course of 6 weeks, our team of students and professional mentors worked alongside local workers in Ait Bayoud to clear and prepare the bridge sites, mix and pour the concrete foundations and towers, and install each of the bridge's main cables. In the winter of 2013, we sent a team to assess the state of the bridge, and in the summer we sent two final project teams. They tensioned the bridge cables, installed decking, and completed the project. 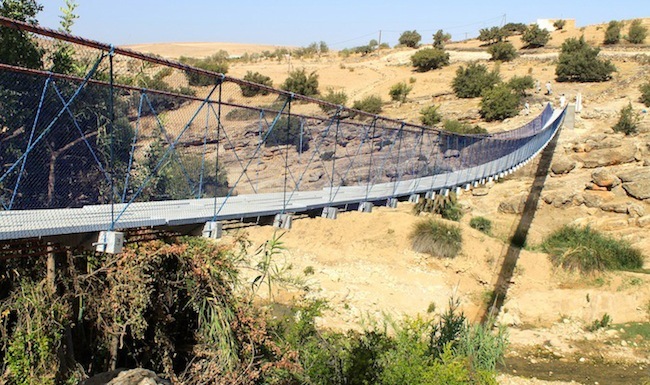 Following the bridge’s completion in June 2013, CU-EWB Morocco has maintained and improved the completed footbridge, performing extensive inspections every six months and successfully pre-tensioning a new rope in the summer of 2017. Teams have recently focused on fully transitioning ownership and maintenance of the bridge to the community, creating a useful picture-based guide and facilitating community-led bridge inspections. 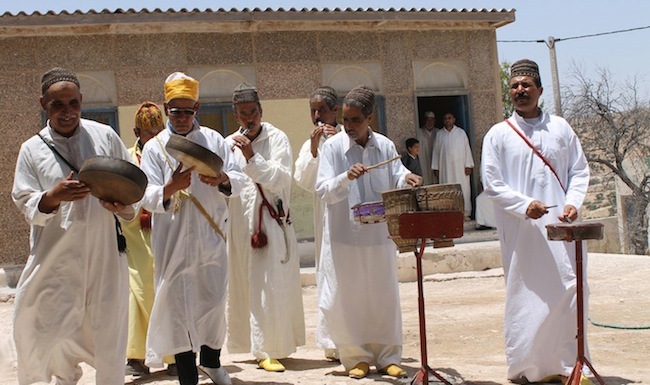 The members of Izgouaren, one of a series of dwars or neighborhood clusters that make up Ait Bayoud, spend up to 4 hours a day walking to get water. While assessing the community of Ait Bayoud during her Peace Corps Service, Nina noticed another pressing issue to the quality of life. Ait Bayoud consists of a series of dwars, or neighborhood clusters, that are staggered along the river. 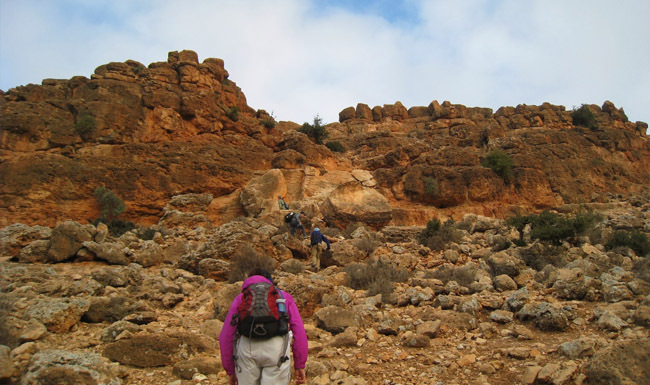 Izgouaren, a dwar isolated on a raised plateau, suffers from limited access to water. 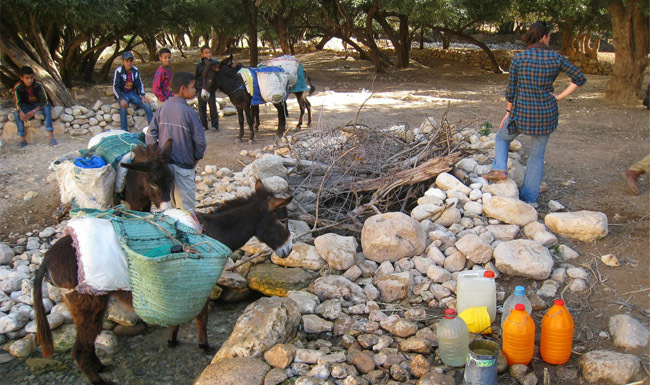 Every day, families walk back and forth down to the river to gather water from a nearby spring, spending about an hour per trip and making up to 3 trips a day. 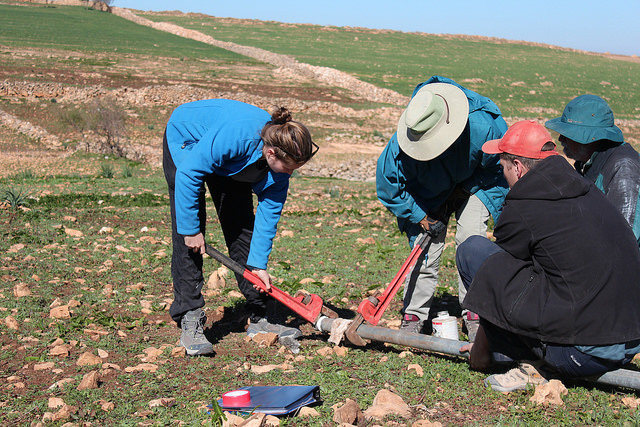 To address this issue, a team consisting of Columbia students as well as Peace Corps Volunteers visited Izgouaren in January 2014 and began to assess the dwar's needs, the river conditions, and Ait Bayoud's current water sourcing status. 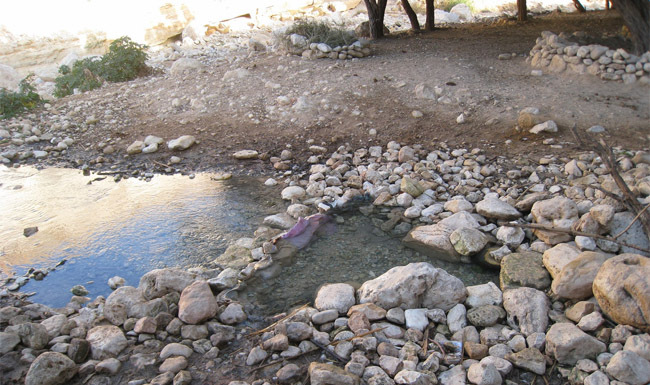 We sent one additional assessment travel team in the summer of 2014 to measure the flow rate of multiple springs and the river near Izgouaren, to determine a piping path to transport water to the dwars, and to perform water quality tests on the sources of water. 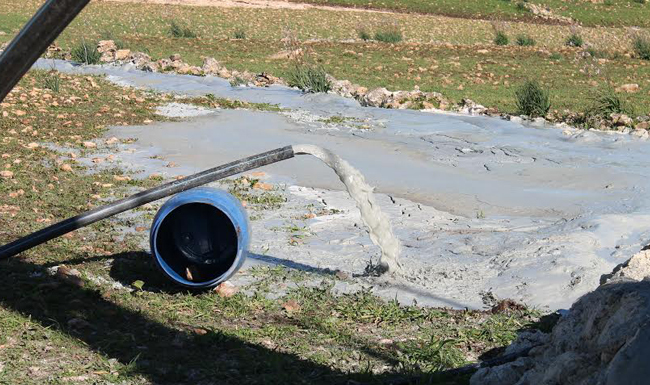 Using the information collected during the two assessment trips, the winter 2015 team returned and successfully constructed a shallow well along the river. Since then, we have installed 1,500 meters of piping out of the total 3,200 meters needed to complete the pipeline. In the past few trips our teams have focused on building a temporary water distribution site, along with testing both the pipes that we have laid down so far and the water quality. We are planning to implement 6 km of HDPE piping this summer to replace the originally installed galvanized steel piping due to leakage. Additionally, we are planning to extend the power line to the well site and install solar panels this summer, so hopefully, there will be water running all the way to the communities by the end of August. Our work takes place both on-site in Ait Bayoud and back home in New York. Check out our updates to see what we've been up to! We appreciate all the help we can get! 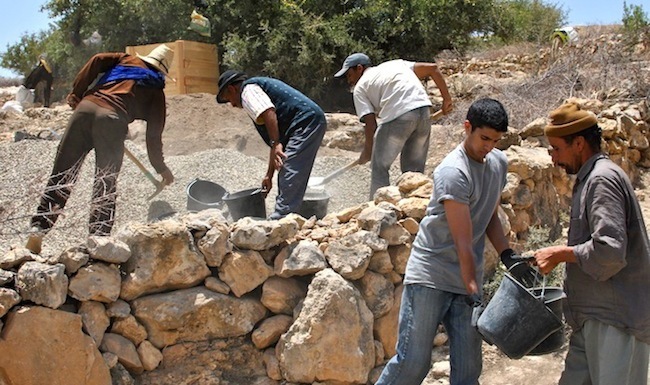 Any contribution, no matter how small, goes directly to helping the people of Ait Bayoud. We welcome your input! Please contact Nivita Arora, our chapter webmaster, if you experience issues or have suggestions for future improvement. Press and media inquiries? Please contact our PR chair for more information.